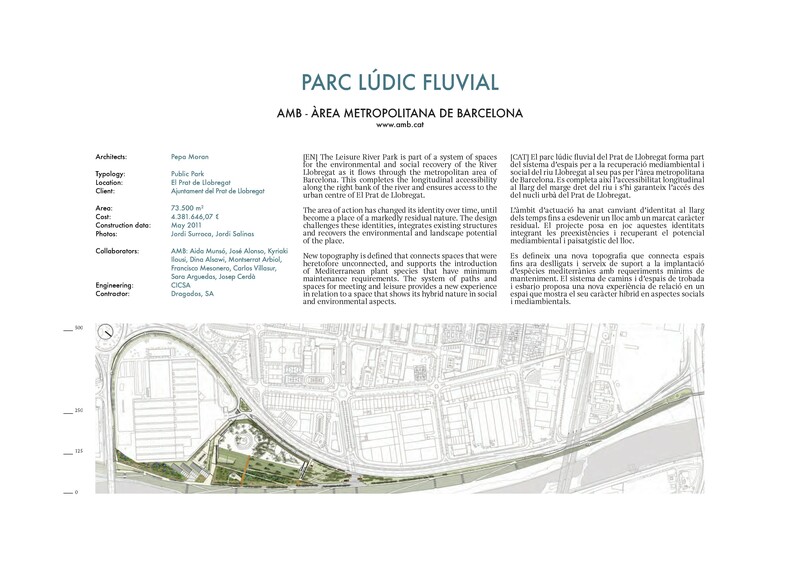 The Leisure River Park is part of a system of spaces for the environmental and social recovery of the River Llobregat as it flows through the metropolitan area of Barcelona. 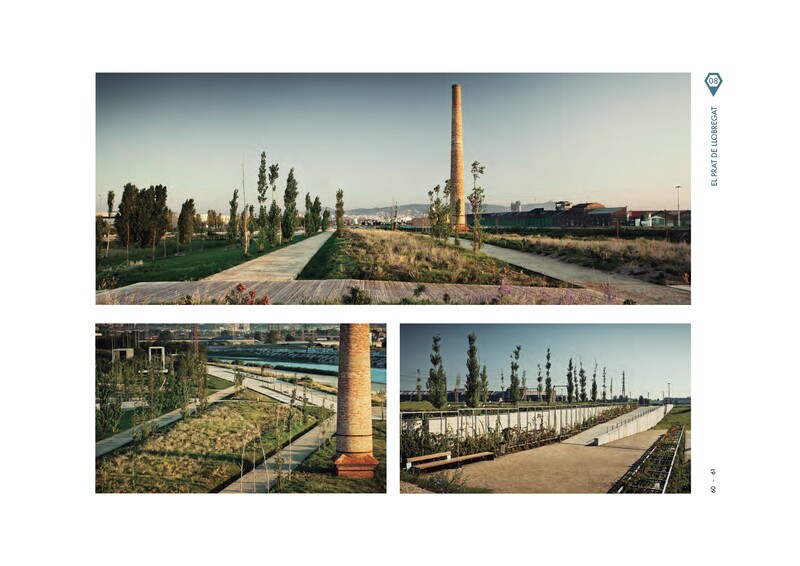 This completes the longitudinal accessibility along the right bank of the river and ensures access to the urban centre of El Prat de Llobregat. The area of action has changed its identity over time, until become a place of a markedly residual nature. The design challenges these identities, integrates existing structures and recovers the environmental and landscape potential of the place. New topography is defined that connects spaces that were heretofore unconnected, and supports the introduction of Mediterranean plant species that have minimum maintenance requirements. The system of paths and spaces for meeting and leisure provides a new experience in relation to a space that shows its hybrid nature in social and environmental aspects.